Ok, it might be a bit strange me doing a blog post about a shop. However, M&M’s World is such a cool shop, I feel as though it needs a writing about! What is at M&M’s World? M&M’s World is a shop over 4 floors full of everything related to M&M’s. From socks to tablewear, T-shirts to personalised M&M’s, it has everything that you could imagine. The store is bright and colourful, with upbeat music being played throughout, it is a really positive experience going there. Why is M&M’s World more than just a shop? There are loads of photo opportunities here for young and old alike. From M&M’s cars, to M&M’s mimicking the legendary Beatles image of them crossing the road, as well as random M&M characters showing up for photos, there is more to do than just shop. Heidi’s favourite activity in the store was doing the mood personality test. Whilst it did show that she did indeed have a personality, it did differ each time she did it, therefore, it could be a sign of temperamental teenage years to come!! The main reason for writing this was when we visited M&M’s World in February 2019, we were approached by Philip-Alexander, who worked in their marketing department. I think that this was because Heidi was wearing a cool M&M’s T-shirt bought on a previous visit!! We were asked a few questions about various products, price points and generally, whether we liked the in-store experience. It only took 5-10 minutes, but he was really friendly throughout. Then, the magic!! Heidi was allowed to get some free sweets from the shop! She was over the moon with excitement and it really topped off our Friday evening. There’s even cars at M&S’s World! Then, Heidi got talking to some more members of staff, who again were oh so friendly. Heidi was telling them about the questionnaire that we had done and our plans in London for the weekend. Heidi then sweet-talked them (excuse the pun!) into giving her some more chocolate! It just shows how nice the staff are! M&M’s World is in the heart of Leicester Square and so it is central to a lot of things in London. You can easily spend an hour here, even without buying anything!! However, if you time it right, there is a musical display directly outside the store (look up!) which is lovely to watch and hear. It might seem strange to do a blog post on a family blog about a bar, but Belowzero Ice Bar is a bit different. We went in February 2019, and as we loved it so much, I had to write about it. What is Belowzero Ice Bar? In its simpliest form, Belowzero Ice Bar is just a bar. It serves drinks and music is played. However, as the name suggests, the temperature is around -5oC and so it is a really “cool” experience (ok, I’ll stop with the puns!). You are given Eskimo coats to wear to keep you warm, and special gloves to wear. It doesn’t feel too cold to be honest, and quite refreshing if it is a warm day in London. The Ice Bar is decorated with ice sculptures with a different theme every few months, so in some respects, every visit will be slightly different. There are ice-free places to sit down (you wouldn’t want a wet bum!) but generally you’ll want to look around all the ice sculptures. The bar isn’t especially large, which makes it feel intimate, but not busy, especially as too many people will make the ice melt! You are advised to book in advance, which helps manage numbers I imagine. What does Belowzero Ice Bar serve? Belowzero Ice Bar serve a range of cocktails and mocktails. I am not much of a drinker, but the mocktails were enjoyed by Heidi and myself! The best thing is that the drinks are served in ice!! As a result, you need your special gloves to be able to hold onto the “glass”!! I can confirm that it is possible to break an ice glass, as they can be quite slippery! Yes, these are made of ice! Is Belowzero Ice Bar child friendly? It is as child friendly as a bar without a beer garden can be! As you are only in for 40 minutes, and people are there for the experience, rather than get drunk, then there is little chance of people misbehaving. Also, there is the usual security, to make sure no-one goes in drunk. However, there are rules on under 18’s. They only allow under 18’s in up to 18.30 Monday to Saturday and all day Sunday. Children 8 and under are free to enter. I never felt that it was not safe or not appropriate for Heidi to be there. How much does Belowzero Ice Bar cost? There are various ticket packages, but the tickets come with a drink included. There is a family ticket, which covers 2 adults and 2 children or 1 adult and 3 children. We found this to be cheaper than buying the drink for Heidi separately. However, your circumstances may mean it is cheaper to buy any under 8’s a drink separately. Whereabouts is Belowzero Ice Bar? Belowzero Ice Bar is located between Oxford Circus and Piccadilly Circus, quite close to Hamleys. It is hidden away in the Heddon Street Food Quarter, just off Regent Street. As such, give yourself a bit of time to find it, especially as you don’t want to be late!! Yes, it is in London! Heidi absolutely loved Belowzero Ice Bar, and it was something completely different. Yes, it is expensive and as such, it is a bit of a one-off. However, if your child is mature enough, it is a wonderful experience to have. “The Sun: Living with our Star” is the Science Museum’s latest “paid for” exhibit, running from 6th October 2018 to 6th May 2019. We were invited along to check out the exhibit, for the purposes of the blog post. What is “The Sun: Living with our Star” Exhibit? “The Sun: Living with our Star” takes visitors on a journey through time with human’s relationship with the Sun. Starting from 3,000 year old artefacts all the way through to modern day science and its effect on civilisation, you realise how important the Sun is to us, as well as how much we still don’t know about it. The exhibit, in true Science Museum style, also focused on how the sun can create power. There was an excellent little game to get children to think about reflecting light to create power. Also, it looks at future problems caused by the sun, namely solar storms, and there was an excellent quiz for everyone to learn about what we would need in the case of a solar storm. For me, the best part was seeing a hi-resolution video of the sun, and marvelling about how much activity occurs. Seeing it relatively close up meant that you see things that you never see before. Is “The Sun: Living with our Star” child appropriate? Yes! There is nothing scary about the exhibit and so nervous children will be fine! There are enough exhibits that the little ones can touch and play with for them to be engaged throughout. Perhaps the part that the children liked the most was the mock beach, as it also doubled up as a little playground as well! In terms of learning, the children found learning about sundials to be particularly interesting. I think that it was because it was quite visual, as well as the fact that they don’t see sundials very often. How much does “The Sun: Living with our Star” cost? What else is there to do at the Science Museum? There is the fabulous Wonderlab on the top floor. You can read about Wonderlab in this blogpost. Also, the Science Museum has a whole host of free galleries to view as well and you can quite easily spend all day at the Science Museum. If you’re looking for a good photo opportunity, there is a section towards the middle depicting the Sun’s ray. The provides excellent lighting for photos, especially with the cut out holes at the back! Whilst we received free entry into “The Sun: Living with our Star”, this did not influence any opinion of the blog post. Across the UK, Wallace & Gromit’s Musical Marvels is appearing in theatres and concert halls for special orchestral performances which are sure to entertain the whole family. What will happen at Wallace & Gromit’s Musical Marvels? The interactive experience features specially created animations as well as a live orchestral accompaniment, from the Picture House Orchestra. This is then followed by a screening of “The Wrong Trousers”, with the soundtrack performed by the orchestra. How Long does Wallace & Gromit’s Musical Marvels last? The first half is an energetic, interactive dialogue between Wallace, Gromit and the live orchestra. This last for about 35 minutes. The second part is a screening of The Wrong Trousers, with live orchestra, which lasts for 30 minutes. There is a 20 minute interval, so overall, it lasts 85 minutes-ish. Is Wallace & Gromit’s Musical Marvels wriggle-proof? Wallace & Gromit’s Musical Marvels is aimed for children aged 3+, so you know that it’s going to be a bright, breezy and lively performance! Is there a preview for Wallace & Gromit’s Musical Marvels? Where can we watch Wallace & Gromit’s Musical Marvels? How can we get tickets to Wallace & Gromit’s Musical Marvels? You can follow the links by clicking on the venue above, but also, keep your eyes peeled for a competition giveaway in the next few weeks! How do we know if Wallace & Gromit’s Musical Marvels is worth seeing? We have been given tickets to the Sheffield showing for the purposes of a review. So check out the page and social media accounts around that time and see what we thought! We have been to Shrek’s Adventure a couple of times now and given that the new “How to Train Your Dragon” exhibit is now open, I thought that I would write about it. I am not sure that there is anything similar to Shrek’s Adventure in Central London! Shrek’s Adventure is a walking tour through the story of Shrek, where you spend 5 minutes or so in each scene before carrying on the story. Each scene is led by a character in the story and generally something magical happens in each one, be it a witch appearing from nowhere or a toilet exploding! After the introduction from Fiona (from Shrek) you go into a stationary bus and have an immersive 4D ride where you take in the sights of the world before crashing on top of a witch or two! It is very immersive and as such, it can be overwhelming for younger children. However, it is really good to watch and so if your little one can be brave, then they will love it. After you have completed the show, there is a nice little break-out area, where the children can wind down. There are a few photo opportunities with still characters from the show and allow them to be kids again! When we went in February 2019, they had just opened a new exhibit from “How to Train Your Dragon” which will be popular with the younger children especially. For me, my favourite memory is when Cinderella tried to get me to go out with her!! No, I’m not kidding! However, Heidi got really upset that someone was going to take me away from her, she got really upset! It was very cute indeed!! My other favourite part is the Sleeping Beauty section, which provided hours of entertainment in the days/weeks to follow. However, I won’t give the secret away. You may have seen that that photos on here are professional and don’t contain Heidi or myself. That is because you’re gently told at the beginning that you aren’t allowed to take photos. Whilst that’s bad for blogging, it does mean that the experience is authentic and flows better. There are a couple of photo opportunities at the start which you can buy, as well as one at the end with Shrek himself, which is free. However, the memories from Shrek’s Adventure will just have to be that – memories. This is a difficult one to answer as it depends on your child. There are scary parts, which means that more nervous children will find it a challenge. But then there are some really funny parts, which all children will like. 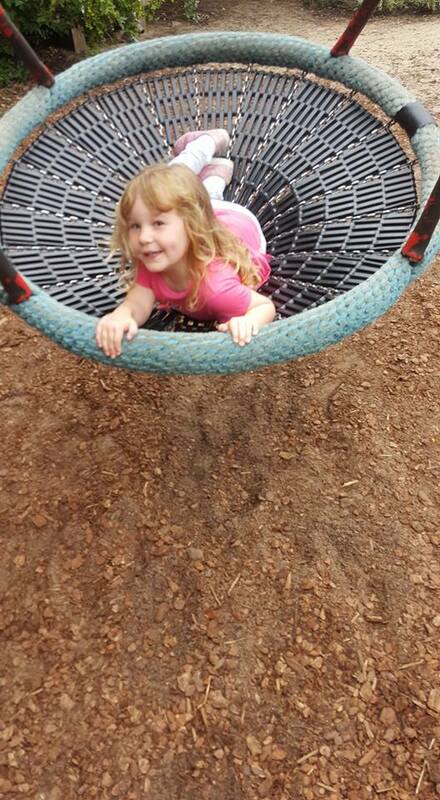 Heidi was aged 4 when we went and she loved most of it except the Pinocchio and jail scenes. As such, you might want to give extra big cuddles during those parts. As it is a walking show, there is naturally walking. However, it is all flat, inside and generally walking 20 yards or so before stopping for the next section. There aren’t many opportunities to sit down, therefore a 3 year old might struggle towards the end. You can get a teddy version at the shop afterwards! As with most Merlin Attractions, there is often a deal to be had. If you want to do the Sealife Centre and, say, the London Eye (which are pretty much next-door) then there is a decent saving in buying your tickets together. Also, there for often 2-for-1 offers run by travel companies and various household consumer brands. Shrek’s Adventure is one of the things in London that you have to do at least once. As it is located on the South Bank opposite Westminster, its location is ideal and as it is indoor, can be a suitable “wet weather” activity. We have done it twice now and loved it each time and I’m sure that we will do it again in the future. For Heidi and I, 2018 was the year we loved London and loved Science. As such, one of our favourite places to go was Wonderlab at the Science Museum. Located a 5-10 minute walk from South Kensington Underground, it is the ideal place for inquisitive minds. Wonderlab is located on the top floor of the Science Museum and is home to the more interactive exhibits. Wonderlab is a paid attraction (see later) but it is well worth the expense as the attraction is really interactive for children. There are loads of hands-on experiments that the children can get involved in, from magnetism, to colour blending, to heat cameras. In the open plan floor, pretty much everything is available to touch, play with and learn with. There are a couple of areas where there are demonstrations. One is the electric exhibition, where you can see lightning being created – clearly a bit dangerous, hence the led demonstration!! The other is the mini lecture theatre, where there are shows every 40 minutes or so. These aren’t especially interactive, pretty much because they involve setting fire to things, making rockets and that kind of thing. Whilst not interactive, they are fun to watch and really educational. Top Tip – If your child is a little nervous, sit on the seats on the right as you go in. Here, you can make a quick getaway if it becomes too much! What is the ideal age range? Whilst there is a lot to see, do and play with, there is also a lot that can be learnt. As such, I feel as though pre-school children wouldn’t really get much out of it. However, they will get the visual impact of the experiments, which is an excellent starting point. However, under 3’s are free so that is a bonus!! School aged children with an inquisitive mind are absolutely perfect for Wonderlab. They will ask questions that they have never thought about before and will think about things a different way. Just be prepared to do a lot of explaining!! It all depends on how engaged your child is. Heidi has been in for 5 hours before and I have had to drag her away as we had a train to catch. However, if you’re short on time, you could spend an hour and a half and see/do most things. However, you wouldn’t have time to see any of the demonstrations. The Wonderlab does get busy at weekends and school holidays. However, it has never been absolutely packed, even in the middle of summer. Clearly, the best time would be during the week in the school term (such as a teacher training day) but I would not let it put you off whatsoever. As the Wonderlab is in its own little area at the top floor of the Science Museum, the facilities are limited. The only facilities are the toilets which are hidden away behind the maths puzzles at the back. However, just outside the Wonderlab is a shop, as well as a Shake Bar. Here you can buy sandwiches, ice creams and milkshakes (obviously!). There is a large area of seating so you should be fine finding a seat. However, the Shake Bar closes early and so if you promise an ice cream, make sure you go sooner rather than later. I am speaking from experience on that one…!! On the ground floor, there is a cafe and an amazing shop! Is it worth the annual pass? As you can see, if you’re going to visit the Wonderlab twice or more in a year, you are best going for the annual pass. In 2018, we visited 4 times from Leeds and so if you love London, (or live nearby) it is well worth it. I think it is safe to say that Wonderlab is one of Heidi’s favourite places in London and I joke that she would love to live there! It has increased her knowledge of science so much, and provided so many happy memories. I can’t wait for us to go back in 2019! Heidi is a huge Operation Ouch fan and once the tickets to Operation Ouch Live were available, I made plans to go down to see the show. When I say “huge”, perhaps I mean obsessive. After all, we have 50 recordings saved on the TV! As a result, it was an opportunity not to miss, and it was more special than I could have imagined. Operation Ouch Live is based on the TV show and you need to have seen a couple of TV shows to get the most of the stage show. However, the stage show stands on its own two feet. The show lasts 70 minutes, and make sure you get into the theatre 10 minutes before as they play a clip from the TV show, which was a nice touch. There are bits of goriness involved, but it is all educational. For example, they use a probe to see into Xand’s ear to see his ear drums, as well as inflate a set of animal lungs so you can see how they work in practice. However, it is tastefully done and won’t put anyone off. Also, the Operation Ouch Live show tells you a little about the Doctors themselves, which was an amazing little touch, especially for a mega-fan like Heidi. Operation Ouch Live is at the Apollo Theatre. This is on Shaftesbury Avenue about 2 minutes from Piccadilly Circus underground station. For those who know London a little bit, it is near the Rainforest Cafe. Whilst the venue holds 775 people, it is quite compact and so you’re not too far away from the stage. The leg room is decent, and the seats are comfortable enough for the 70 minute show! They do sell merchandise before the show as well in the foyer, some of which Heidi is modelling after winning a Facebook prize! As you can imagine, the Operation Ouch Live show is full of laughs and silliness. After all, it is aimed for children aged 5-12! There are daft songs, silly jokes and good old panto humour. However, the best part is where they showed how a virus spreads quickly between people. This is done by throwing massive wobble balls into the audience and getting them to throw them around. This proved hilarious for the children, but also very educational. They could see how a virus spreads, but also the importance of stopping viruses at source. Whilst Operation Ouch Live is definitely a show to entertain, it is also there to teach. There are scientific terms thrown in at semi-regular intervals, but it is age appropriate and done in a manner for children to learn. The skit with the frontal lobe and amygdale is a prime example of this. Heidi, aged 5, was absolutely fine with the learning part of things, but younger children may struggle. However, from a parent’s point of view, there is a monologue by Xand which was powerful and poignant. Xand referenced his struggles as a child and gave some well directed life advice to those children who need something a little different in school and life. By this point in the show, the children were like sponges, taking everything in and I am sure that it will help so many. For me as a parent, it was the highlight of the show. Chris and Xand are excellent on stage and whilst their background is medicine, their on stage performance was very polished. However, after meeting them after the show and an unexpected Twitter message or two, they are genuinely nice people. Part of doing this blog was to write about the “good guys” in life and have a positive influence on Heidi’s life. Chris and Xand certainly fit into that category. The way they spoke and interacted to Heidi after the show melted my heart and made the trip down worth it. Heidi was over the moon meeting them, especially knowing that her heroes are just as nice in person as they are on TV. Operation Ouch Live is simply amazing. I can’t put it any more simply as that! Hopefully diaries will allow us to go down to see Operation Ouch Live again before it finishes on 6th January 2019. 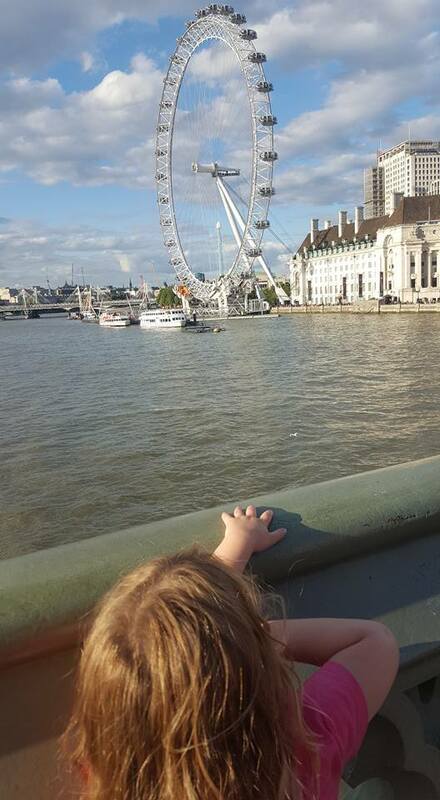 As you may know, Heidi absolutely loves London! We have done a couple of day trips and a couple of mini breaks. As such, I thought that I would do a “London Attractions Guide” which should help if you don’t know where to start. 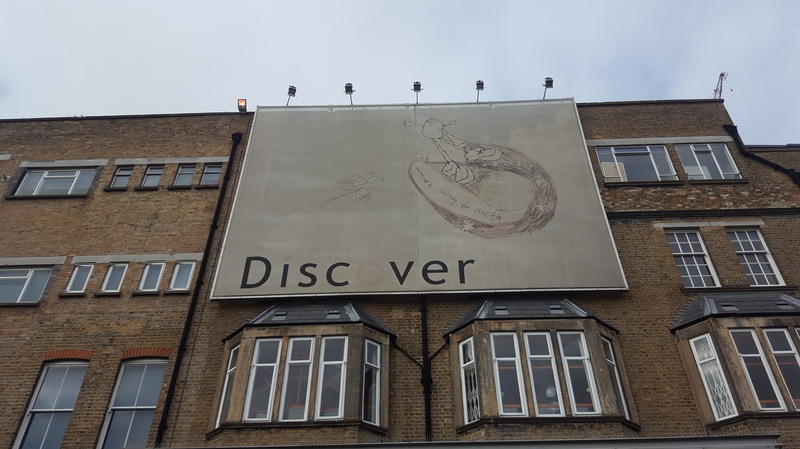 The “Discover – Children’s Story Centre” is a perfect, child friendly place just 5 minutes walk from Stratford Underground station. I wrote about it here previously. Make sure you book in plenty of time because it is small and gets sold out regularly. The Science Museum is absolutely amazing and we can spend all day there! Located at South Kensington Underground station, it is free to enter. The top floor is a paid-for exhibit called “Wonderlab” and is well worth the money, especially if you get the annual pass. The live shows are educational and entertaining. TOP TIP!! As you walk from the Tube station to the Science Museum, there is a off-licence selling fresh food. It is just as you enter the underground walkway (not the one in the main foyer.!) The doughnuts and samosas are HUGE and well worth a purchase! 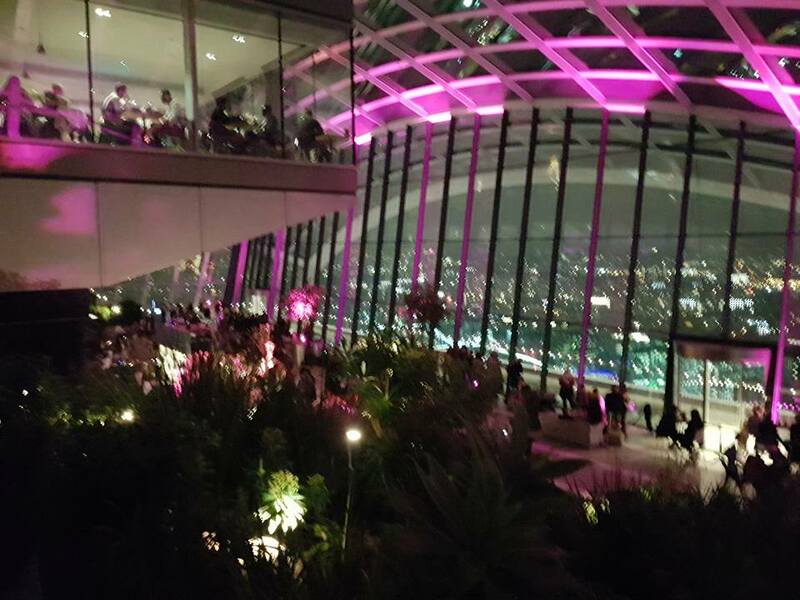 Going to the top Sky Garden in the City of London is a free attraction, but you must prebook. During the day, it is a tourist attraction and children can go in. At night it is a lively bar. Whilst free to enter, the drinks are pricey. 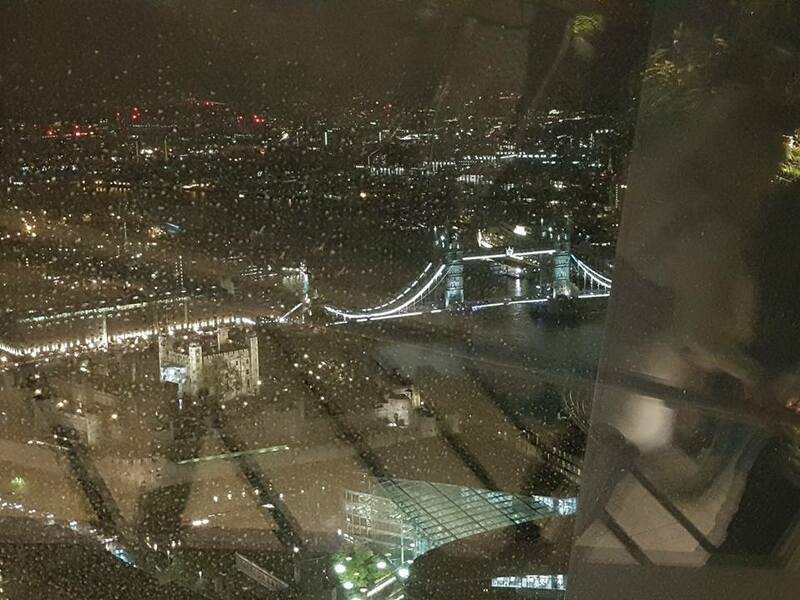 However, the chance to sight see from 38 storeys high whilst drinking is an experience! The nearest Underground station is Monument. I can imagine that I should do a follow up to this “London Attractions Guide” with “Bars of London”!! The there only 2 that I know of in Central London. The Diana Princess of Wales Memorial Playground in Hyde Park is the best one for sure. It is free, and has security on it making sure it doesn’t get too crowded and making sure children don’t escape from the single entrance/exit. There are the usual swings and slides, but there is a decent pirate ship and suspended walkway. It is a 2 minute walk from Hyde Park Corner Underground Station. The other one is just next to Tower Hill Underground station. It only has a slide, a swing and a wobble table, but if you’re going to The Tower of London, it will cheer up the kids!! We have been to the Rainforest Cafe twice now and Heidi remembers it from 12 months ago. The decor is wonderful and the food is decent. Again, you’re best to book ahead, but this can be seen as a one-off treat. Located in the middle of Piccadilly Circus, its location is amazing. You can read about it here. 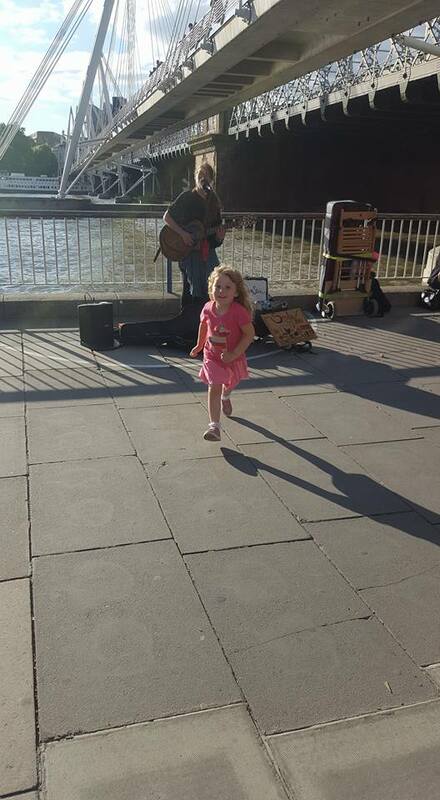 I always find that the South Bank has a wonderful atmosphere with the street artists and buskers. There is usually an outdoor attraction on just behind the London Eye as well. We like to start walking from Westminister Underground station to see Big Ben and the House of Parliament. From there, we cross the bridge and walk past the London Eye where the street entertainment is. Then we cross back over the river to Embankment Underground Station. However, if you’re looking for food, head towards Waterloo and you have an amazing choice! I hope that this London Attractions Guide has been useful. If you only have one day in London, check out this guide here. I’ll be doing a travel guide to London shortly, which I will link to on here! We made the trip down to Alton Towers for a 2 night stay, particularly to take in Cbeebiesland. This was while Heidi was still interested in those programmes and while we could go before she started school. As it is only for children, the staff are very friendly and the setting is very colourful in the Cbeebies colour scheme. Within the park, there are around 12 attractions and you should be able to do them all in 1 day. However, this depends on how little your little one is and whether they need a nap during the day!! All the rides/attractions are Cbeebies themed, from Octonauts to Postman Pat, in the Night Garden to Charlie and Lola. The only one which is height restricted is the Octonauts rollercoaster. This isn’t fast in the great scheme of things, but I would watch it go round first before queuing up. There are also “Meet and Greet” with various characters throughout Cbeebiesland. This seemed to be a bit ad-hoc so keep your eyes peeled, but there is a specific tent for an “In the Night Garden” which seemed to be a big hit with the babies (or the parents more likely!). There are hourly interactive shows as well which are really good if your child can get involved. These include Tree Fu Tom and you can do the actions etc. Our (or should I say my!) favourite attraction is Justin’s House. This is basically a mock up of Justin’s house but the main fun is going onto the balcony overseeing the ground floor and collecting the foam balls. You can then useg them in the play guns and fire them at people!! It is a bit more than an adult attraction, and while it is impossible to get hurt, care needs to be made not to hit small children!! In terms of facilities, there are quite a number of toilets and the ones near Justin’s House had plenty of space. There is one small food outlet which offers a standard theme park menu/prices. However, there are numerous outlets throughout the rest of the park. There is also a shop selling Cbeebies themed goodies and the “In the Night Garden” ride exit feeds into the shop. As such, if you have a “needy” little one, you might want to do this ride at the end of the day so you can avoid the shop until then! All in all, we had 2 good days here, although you don’t need 2 just to do Cbeebiesland. Our first day was beset by winds and rain and because of this, everyone in the park got a free ticket. Therefore, we have a ready made excuse to go back! !